Kilkenny Journal Politics International Red Cross report confirms the myth of the six million. Tax-payers of Germany, Switzerland, Austria, Latvia, Poland and other nations have had multiple Millions of dollars taken from their wages to be paid out to “holocaust survivors” and their descendants for something that DID NOT HAPPEN. The tax-payers of these United States of America spend Billion$ each year in direct, indirect and military support of the State of Israel (which is not Biblical Israel). This is intentional, criminal fraud on a scale so massive as to be almost incomprehensible. Where do the innocent Germans, Americans and others go to get a refund? 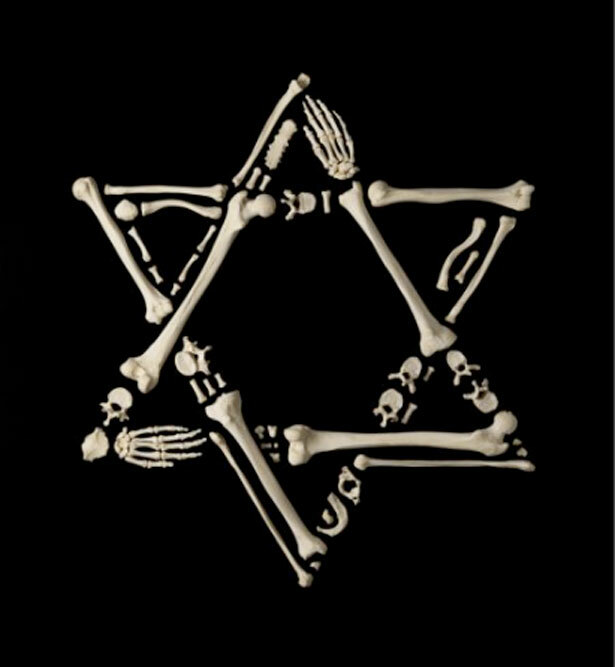 I call for criminal prosecution of individuals and groups who filed false lawsuits to obtain holocaust reparations and financial damage awards and perpetrating deliberate fraud upon Courts. I call for the removal of Holocaust references in History books and educational materials. I call for the removal of Holocaust Memorials worldwide. It is long overdue that this intentional fraud be halted and those who perpetrated it be brought to justice for over 60 years of National Blood Libel against Germany and other nations through vicious lies and financial fraud. They confirmed the favourable impression gained on the first visit” (Vol. I, p. 642). The ICRC also had praise for the regime of Ion Antonescu of Fascist Rumania where the Committee was able to extend special relief to 183,000 Rumanian Jews until the time of the Soviet occupation. Relief could henceforth be distributed by the ICRC and one delegate was authorised to stay in each camp .I.” (Vol. III, p.83). The original 1946 edition did not even talk of ‘extermination’ or ‘death camps’ but after the emotional impact of the Nuremberg trials the Red Cross felt compelled to introduce into the expanded 1948 Report several, very cursory references to ‘death camps’ (Vol. 1 p. 641) and ‘extermination camps’ (Vol. I p. 645). However, no means of’extermination’ is indicated. on the subject of’gassings’ is ample refutation of the ‘Holocaust’ legend. 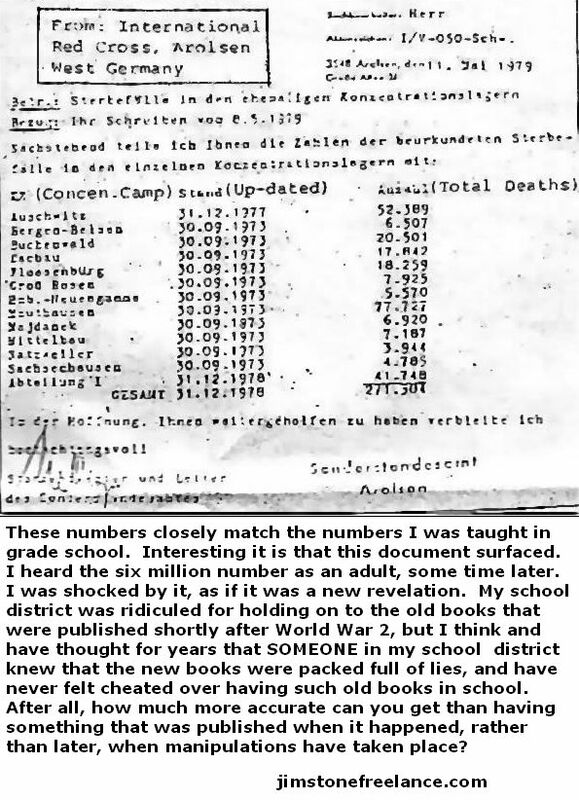 This conflicts directly with the “thoroughness” of the supposed “extermination programme”, and with the claim in the forged Hoess memoirs that Eichmann was obsessed with seizing every single Jew he could lay his hands on,” In Slovakia, for example, where Eichmann’s assistant Dieter Wisliceny was in charge, the Report states that “A large proportian of the Jewish minority had permission to stay in the country, and at certain periods Slovakia was looked upon as a comparative haven of refuge for Jews, especially for those coming from Poland. Those who remained in Slovakia seem to have been in comparative safety until the end of August 1944, when a rising against the German forces took place. While it is true that the law of May 15, 1942 had brought about the internment of several thousand Jews, these people were held in camps where the conditions of food and lodging were tolerable, and where the internees were allowed to do paid work on terms almost equal to those of the free labour market” (Vol. I, p. 646). “The Jews from Poland who, whilst in France, had obtained entrance permits to the United States were held to be American citizens by the German occupying authorities, who further agreed to recognise the validity of about three thousand passports issued to Jews by the consulates of South American countries” (Vol. 1, p. 645). The Source of the six million figure is a Talmudic (Jewish Talmud) reference to a future holocaust in which six million Jews die. The reason why they are claiming six million deaths in Nazi camps, even though that number vastly exceeds the number of Jews in Europe at the time, is because this reference in their scripture is something they fear deeply and wish to prevent at all costs. The Ashkenazi Jews, which I have experience with honestly believe that prophecy is real, but can be manipulated. They believe that prophets see into the future, and see what was believed and said, and then write that down as much as they reveal the word of GOD. 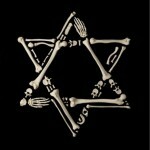 SO there is a group of Ashkenazi Jews who wish to make the six million figure HISTORY to prevent it from ever happening in the FUTURE by repeating this number over and over and over into the social concience, in the hope that prophets of old will also latch onto this, and report it as a factual event in the future, which would now be history. In other words, they believe they can lie themselves a new future. I don’t think so – I think their hardest days are ahead and one thing is certain, the genie is out of the bottle and through the word, the real truth of Fukushima may be like silly putty slowly sinking into the carpet, eventually it will be TOTALLY sunk in the carpet and nothing will get it out. THIS could cause the six million Jewish deaths the prophecy speaks of, and No, I do not believe they can lie their way out of it. BOBBY AYLWARD TO VOTE NO. PETER O'LOUGHLIN FOR CARLOW-KILKENNY -End to welfare tourism! DAVY HOLOHAN TO STAND FOR THE REPUBLIC. SINK THE IMMIGRANT SHIPS IN THEIR HARBOURS! SINN FEIN'S FUNCHION NOT ABLE FOR THE DAIL. Peter O'Loughlin stands against welfare tourism in Ireland! IDENTITY IRELAND LAUNCHES CARLOW-KILKENNY CANDIDATE. More in this category: « Carlow-Kilkenny by-election news round up. Just enter your email address to keep up to date with the Kilkenny Journal News. Designed by Premium Website Design.